First performed at Manchester Contact Theatre where it was originally advertised as TUPPERWARE MAN. Following legal threats from the Tupperware Company, however, the title was changed to PAINTED VEG AND PARKINSON for its opening in November, directed by Caroline Smith. 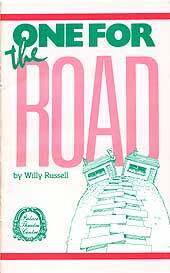 In that rare summer of 1976 I was on holiday on the Isle of Mull where I completed a new stage play. On the title page I typed the words TUPPERWARE MAN, the obvious and perfect title for my new play. Experiencing the twenty-four–hour euphoria I always feel on completion of a play I set off for the village of Dervaig, bought a bottle of claret (or four) in celebration of completion and called in at the post office. The new script safely despatched to Contact Theatre, Manchester I selected a fishing rod and a corkscrew and spent the rest of the day on the river bank, ruminating on how for once I had effortlessly come up with the perfect title for a play of mine, and sipping the warm red wine. 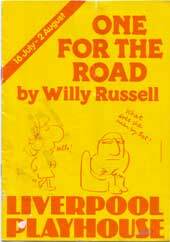 Three months later, back home in Liverpool, rehearsals of the play just about to begin and I receive a phone call, from an American lawyer representing the firm of Tupperware. He tells me that his client firm has learnt of the imminent production, has acquired a script and has foreseen one or two ‘prahblems’. 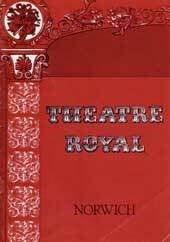 As none of the parties wanted to go to court, least of all the theatre whose production would have to be postponed, we achieved a compromise which, although simple and innocent enough at the time, has since caused me years of headaches. The agreement was that the firm would not press for any changes in the scrip as long as I was prepared to drop the title. I replaced the phone and went into the kitchen to make a pot of tea and come up with a new title. Eight hours later I was still there, a slightly demented figure amidst the tea cups and sheets of paper. As the deadline for the title approached I became desperate and seized upon the idea of taking two incidents from the play with which to make a title. Bill Naughton had written a play called ‘Spring and Port Wine’. Well, that’s a great title I thought. I’ll go for that sort of thing. 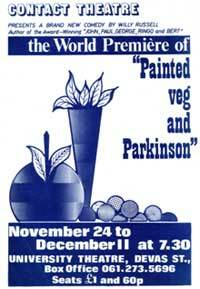 When the theatre’s publicist came on the phone I told him that my play was to be called Painted Veg and Parkinson. ‘What!’ was the astonished reply when it finally came. I timidly repeated it, spelt it out for him. During the month’s run of the play in Manchester I never heard anyone ever refer to the play by its title; not audience or director or actors. It was always ‘ the new play’, or ‘Willy’s play’ or ‘the play that’s on this week’. After the Manchester production the producer Bob Swash telephoned. ‘Willy, I’d love to do that new play of yours’. ‘You know, the new one’. And oh how we tried. 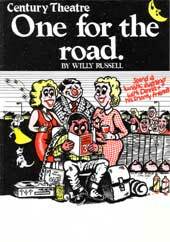 Before we went on tour the play was variously known as; Wagners Walk, Aerosol Alley, Is Cain Able, Gnomes and Gardens, Phase Two, and in years before John Wells was to use the same title, Anyone for Dennis. 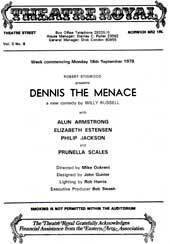 Just before we opened in Norwich we settled on a title which appeared to satisfy all concerned, Dennis the Menace. And we then got to Norwich and saw the foyer packed with bodies pushing and shoving to buy tickets. The only problem was that they were young bodies, kids – all of whom thought they were buying tickets for a play about Dennis the menace from the Beano. Adults stayed away in droves for the same simple reason that the kids blocked the theatre. Word was immediately sent to Darlington, our next date – ‘Scrap all publicity, new title imminent’. Imminent! There’s optimism! The cast, producer, director and myself spent a long night in a Norwich restaurant throwing possible titles across the table. We were eventually all so weary that when Pru Scales leant across to the next table and wished the object of a birthday party, ‘Happy Returns’, we mistook it for a suggested title, leapt as one into the air, made a hurried phone call to Darlington, ordered lots more wine and spent the rest of the night celebrating our triumph. 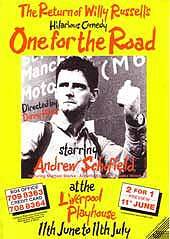 After the tour I had a call from the Liverpool Playhouse who wanted to do the play but, yes, they wanted a new title! I suggested they might want to call it That @*/*ing Play, but they said that might not be too commercial. ‘Oh, I did, she said, quite calmly, ‘I said it in Manchester, in Liverpool, in London, in Brighton and Norwich and Darlington, in…….